On a trip through the Upper Peninsula of Michigan, commonly called the UP, a sign for a Black Bear Ranch appeared along the road. Bears are a symbol of courage and bravery, having appeared in many Native American legends. All my life this gypsy has been attracted to bears and their habitat, so this was a bonus find along the way. 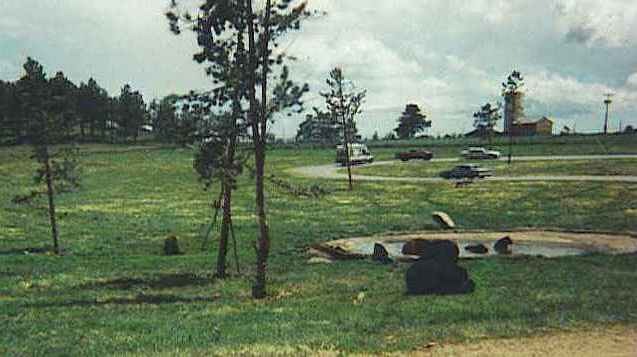 Oswald’s Black Bear Ranch is the largest strictly bear ranch in the United States. Located on the back roads near Newberry, Michigan, it has become one of the top ten family attractions in the area. Owned by Dean and Jewel Oswald, this family affair began as a rescue operation for black bear cubs. Dean brought them to his ranch, fed them, and gave them loving care. Once word spread of his love for bears, people from all around the world would call to say they had found a small bear cub, but were no longer able to care for it. Then Dean would bring it to its new home. 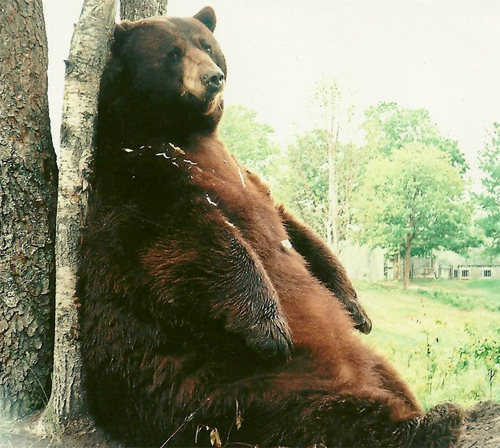 The main attraction in the early days of Oswald’s Black Bear Ranch was Tyson, the largest black bear in the United States and possibly the world. Although the name black bear suggests the color black for all those bears, their colors range from cinnamon to dark chocolate to jet black. Tyson weighed in at 880 pounds, but the Oswalds believe he reached 1000 pounds, before taking his last breath in 2000. Those curious about bears are free to walk throughout the property – outside the fences of course. It’s an enjoyable stroll to encircle one of their four enclosed areas and view the bears as they lumber along. This experience is more personal than a visit to a zoo, since visitors usually get closer to a real bear than they have ever been before. Today they have added a trolley for older or handicapped visitors, who aren’t able to make the long walk, but would still enjoy seeing the bears in their wilderness habitat. 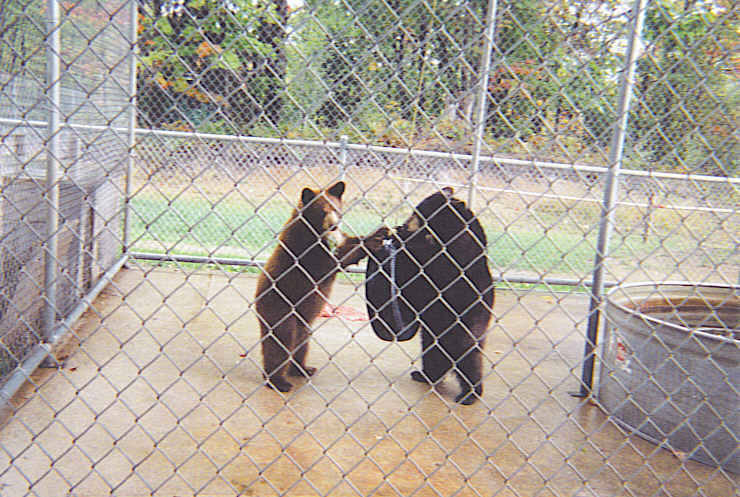 Two little bear cubs enjoyed playing with an old swinging tire in their cage. They amused themselves for quite some time pushing it from side to side and sometimes getting on it for a ride. The cubs seemed quite pleased with themselves while swinging. Nearby was a big pool of water where they bathed and splashed each other, exactly like two children might do. Cute is the word that best described their antics. Each year a contest is held in the local area to name the newest bear cubs. Another favorite activity involves feeding the bears. The larger bears might be fed apples, while the younger ones prefer Fruit Loops. Eagerly awaiting their snacks, bears bravely approach the fence. These small cubs, all under the age of four months, received many gentle rubs and even hugs, as it was permissible to pet them during a previous visit. However, last year the government stepped in and now prohibits touching the bears or taking pictures with them. Some still feel Dean Oswald lets visitors a little too close for comfort, but the children and young at heart certainly enjoy being allowed this close contact. 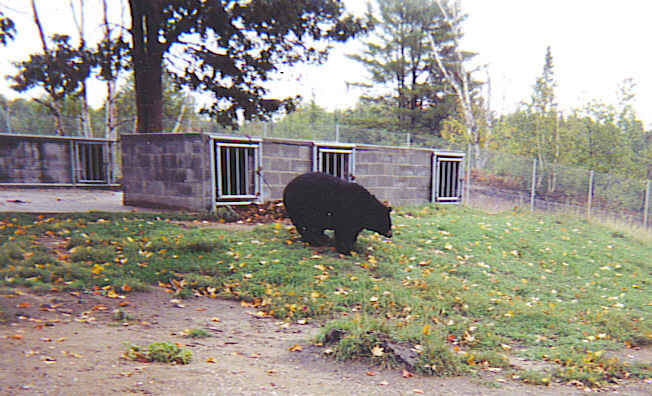 The older bears lived in a large fenced in area with a half mile perimeter to roam. The high fence protected visitors but still gave the bears freedom more closely resembling the wilderness where bears usually live. At the back of the fenced in area were cement block houses for winter hibernation. With straw covered, wooden floors inside, bears had a comfortable environment for their winter sleep. Today there are 27 bears at Oswald’s Black Bear Ranch. Of course, there is also a souvenir shop for those who want to take home a memory. My treasure was a warm flannel nightgown with Oswald Ranch written among the black bears. It feels like getting a warm, soft hug from a bear! Oswald Black Bear Ranch is located just 20 minutes south of Tahquamenon Falls, or from Newberry go 4 miles north on M-123 towards Tahquamenon Falls. Turn left at 4 Mile Corner (Deer Park Rd., Muskallonge Lake, H-37 H-407). Then it’s 4 1/2 more miles to see the former home of Tyson Bear . Stay in your car! Don’t feed the bears! Here at Bear Country USA in the Black Hills of South Dakota, drive your vehicle down a three mile path to get up-close views of bears and more. Although you will find virtually every large animal in the Rockies here: elk, moose, bobcats, bighorn sheep, wolves and more, the bears seem to be the big drawing card. 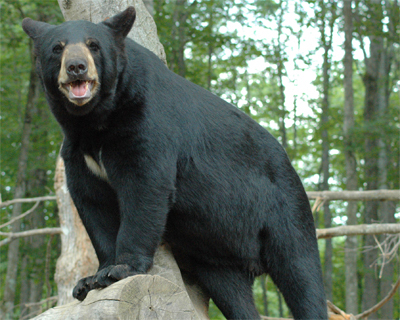 Over 200 Black Bears , “the largest privately owned collection of black bears in the world”, make their home here at Bear Country. Driving through towering pines and rolling meadows, signs suggest that observers keep their windows rolled up. The animals are all very calm and seem oblivious to all the cars going through their home. It almost seems that they stop and pose for pictures along the way. Playing in the pond seems to be a great way to cool off on a warm summer day. You never have to worry about danger here, if you follow the rules. What a thrill to be driving very slowly down the trail and have a black bear approach your vehicle. 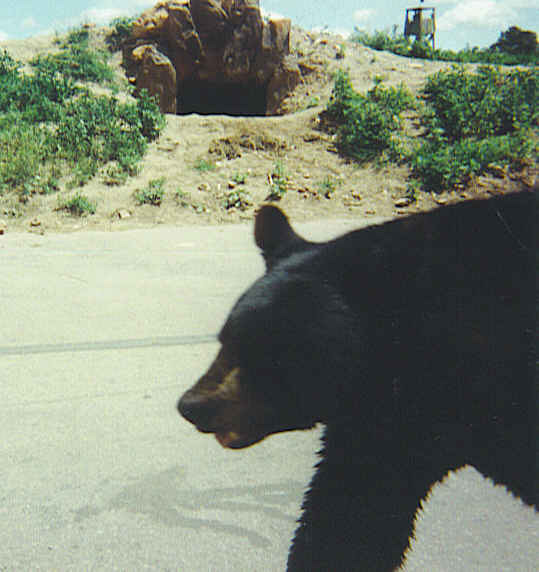 Imagine a large black bear looking in the window of your car. Then feel the car rock just a little as he rubs up against the side. It is wise not to feed the animals as the bears will be hunting for more. They may even scratch your car to try and get in, if tempted by food. Opened in 1972 with just eleven black bears and a couple other animals, the wildlife area is still owned and operated today by children of Doc and Pauline Casey. When the bear cubs are born in January, these are the people that take the cubs from the mother in March and bottle feed them for six to eight weeks. 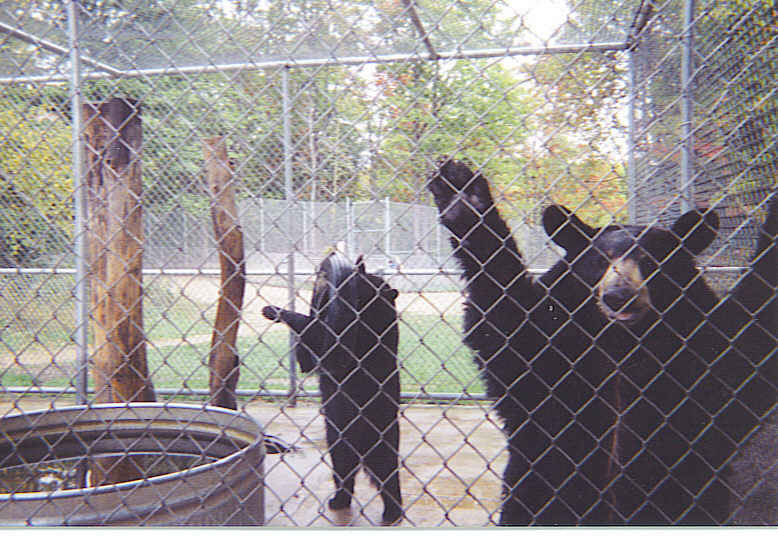 Thus they are gentle animals when left at Bear Country USA. However, some are sold to a local zoo or even a movie studio since they are easily manageable animals. 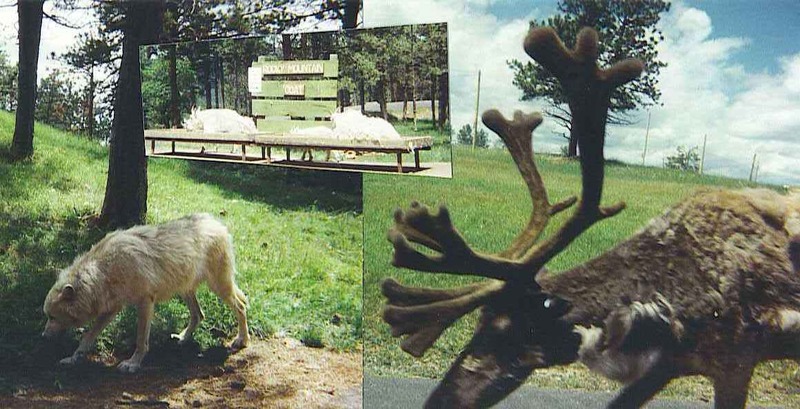 Of course, the Caseys also help raise the young of all the other Rocky Mountain creatures that inhabit the area. Watching the bears amble alongside your car, the drive moves leisurely. Often it is desirable to stop and watch their antics. A favorite spot is Babyland since here you can actually get out of your vehicle for a closer look at baby animals that have been born right here at the drive-through wildlife park. Cuddly cubs frolic in the pool and climb trees while wolf and coyote pups watch the action. 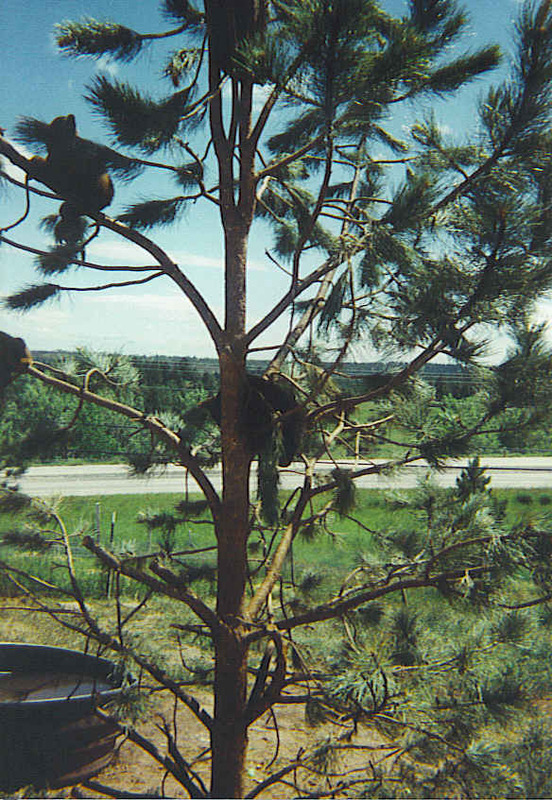 How many bear cubs can you see in the tree? Climbing trees is something Black Bears enjoy and with their curved claws are able to climb quickly and easily. Sometime they even take an afternoon nap in the branches. The hardest part of the trip may be getting everyone away from the black bear cubs and back into the car. Enjoyed all the animals, but especially the bears. If you really enjoy seeing bears close-up, this is a great place to take a drive. That little kid in most of us will enjoy the ride. 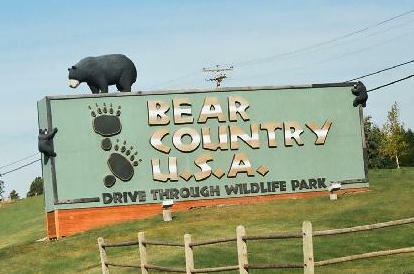 Bear Country USA is located eight miles south of Rapid City, South Dakota right along Highway 16. Don’t forget to visit Mount Rushmore nearby.